The months are just flying by this year! I can hardly believe it's already June. May was a slow month for me in terms of blogging, and I spent much of it re-reading the Anne series by L.M. Montgomery. 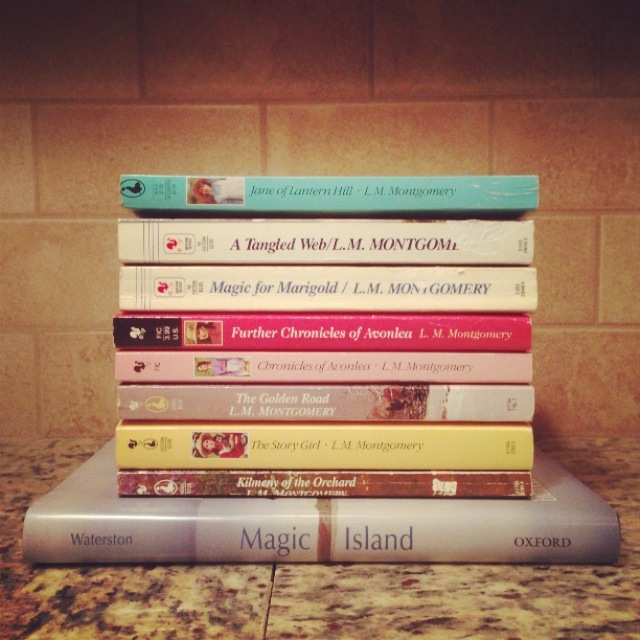 That spurred a shopping spree on Thriftbooks to buy all of Montgomery's books that I don't already own. I told you - I can get obsessed! Instead of feeling bad about blogging less, I've decided to just enjoy whatever pace suits my mood. And I'm really looking forward to reading poolside in the summer sun! Jealous! I want Spies and Prejudice. Btw, love the May calendar! 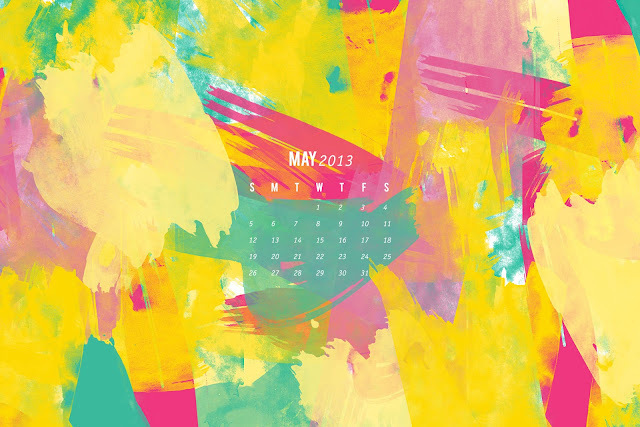 And I love this designer's monthly calendars! They're all so lovely! Hannah, I have to tell you (your Little Women made me think of it), ever since seeing so much of your awesome Pride and Prejudice collection I've been strongly resisting starting a Little Women collection of my own. Someday I'll have a house and more bookshelves and do it though. 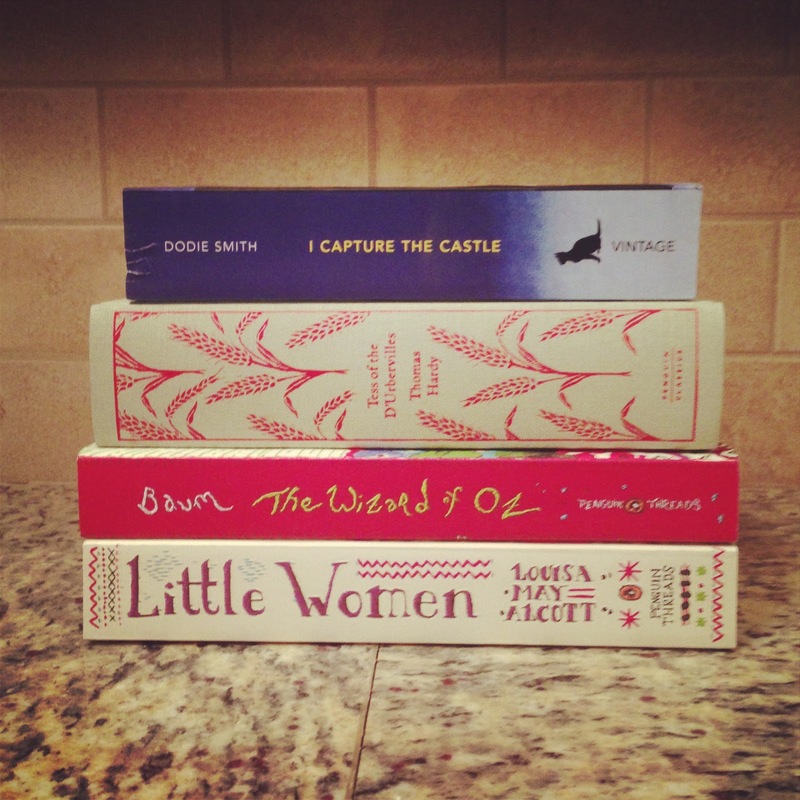 Also reading Anne is a totally justifiable reason not to blog as much. I wasn't around much for May either, but sometimes it's just nice to step back and cool the pace down a bit. 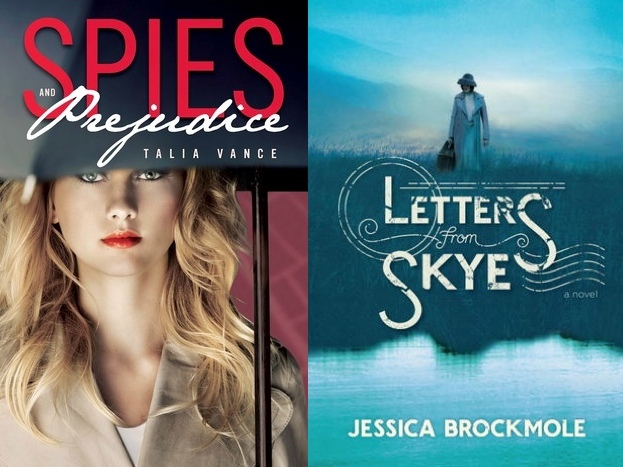 I hadn't seen/heard of Letters from Skye before--assuming it's historical fiction? I feel like I 'remembered' in the last year how much I love that genre and have since been seeking out more and more books in it. I'll be watching for your thoughts! Oh, I hope you really do start a Little Women collection one day! And I love that I've in any way inspired you to do it :) I love looking at mine and remembering when/where I got each of them. I totally agree that it's nice to just step back sometimes. I got really burnt out on blogging last July and then didn't do it again for months. So, I'm trying to be better now about just not worrying if I'm not in the mood and feeling like I "have" to blog. I have Letters From Skye too!! I love the cover so much! I have to sit down sometime and work my way backward on a commenting spree. May was CRAY. Yes, I said CRAY. Also, I think I shall email sometime just to try and remember what that is like. I don't like not doing it! I saw that you read Attachments - need to find that blog post. MAN OH MAN I loved that book. Ok, gotta run for now! I'm pretty sure you're the one you told me to check NetGalley for Letters from Skye :) I love the cover too! And life has been crazy for me, too. Probably not your level of CRAY, but totally understand. YES TO EMAILING! And I adored Attachments. SO MUCH! OMG i just ran to NetGalley to request Letters from Skye~ thanks for sharing, it sounds divine! Yay for wedding + family stuff! So exciting :) And yes, it's taken me a while to learn how to just chill on blogging when I'm not feeling it. But I'm so glad I'm finally starting to get the hang of it!